You don’t need a vast collection of edge case kitchen knives. Get these instead. 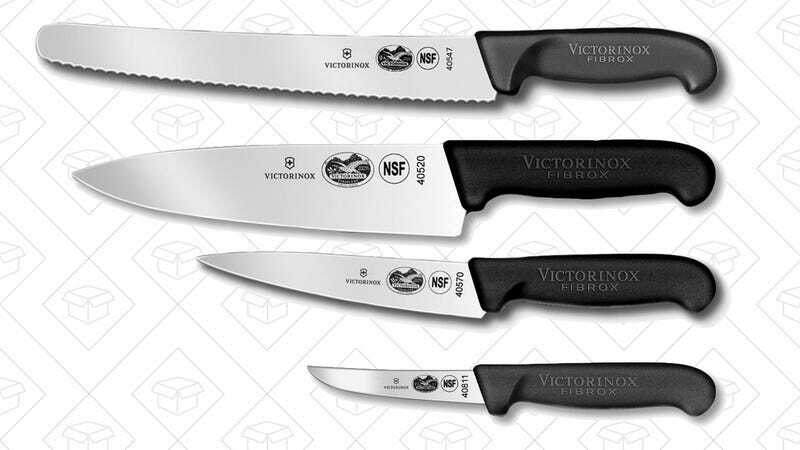 The chef’s knife in this set is among your top five, and the most popular knife we’ve posted, and the whole Victorinox line represents the best value in knives in general. 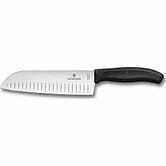 A 7” or 8” Santoku: This is a bit of a personal choice, because I actually prefer the way that a Santoku handles compared to a chef’s knife for many tasks—usually for multipurpose slicing and for cutting vegetables, but I’ve found the Santoku’s snub-curved blade at the front of the knife and shorter body makes precision slicing and thin cuts easier for me. You may or may not agree, but I definitely have times when I prefer my Santoku to my Chef’s Knife, and vice versa. 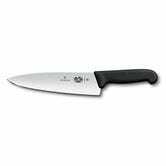 Again, Victorinox comes through with a great budget pick, the 7” Graton Edge Santoku ($37) that I personally bought back in 2009 and still use almost daily. 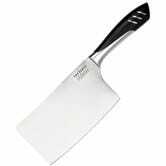 Moving on to Gizmodo’s list, in addition to the chefs knife, bread knife, and paring knife, they recommend a filet knife, and... cleaver. You wouldn’t swat a fly with a sledgehammer, so why are you trying to de-bone a trout with a chef’s knife? 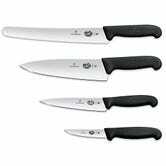 For delicate meats such as fish and small poultry, a high degree of precision is needed in their preparation that only a filet knife can provide. These knives tend to be quite long—between 6 and 11 inches—and exceedingly narrow with a flexible blade. 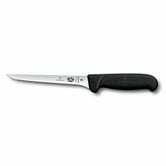 This allows the knife to easily curve under salmon skin, or remove the silver skin on beef tenderloins.